In medium bowl add cooked and cubed chicken ( or turkey). Wash and cut up fruit and onion adding this to chicken, along with pecans. Then pour in mayo and mix well. 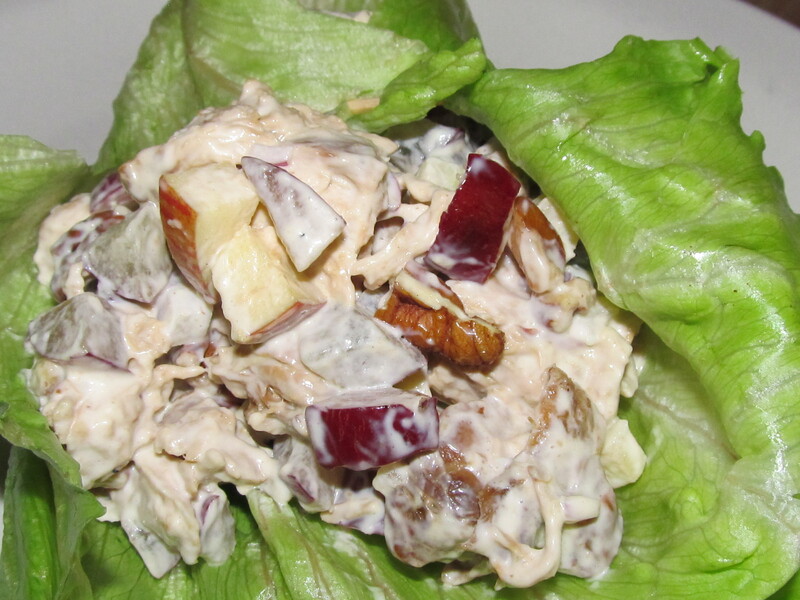 Serve in lettuce wrap or on your favorite Gluten Free bread for a great tasting sandwich. Enjoy!